...and filled in the shape with hot glue. I stayed inside the lines but was a bit messy filling it in. I knew I could trim the edges with a razor cutter if I wanted to, and the next part of my project would minimize the messy appearance of the glue. Trust me on this, the finished deal is awesome! 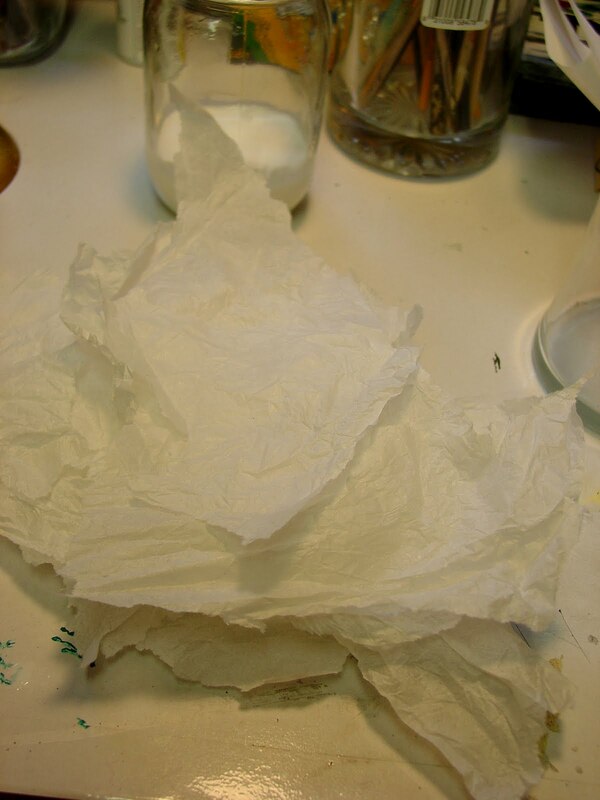 Crumple up about 1/2 sheet of tissue paper. You could use other types of paper but the tissue is the best for this technique. Tear it into pieces less than 3" x 3". 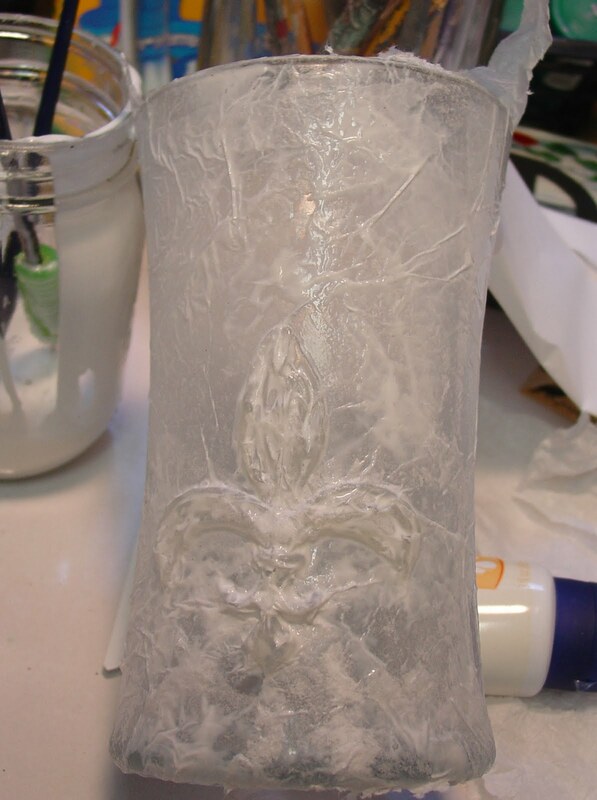 Now Mod Podge those babies on the outside of your vase, putting the MP on the vase only, since the tissue paper is fragile and tears very easily. Just lay the tissue gently on the shape and pat it with a fingertip. If your finger gets sticky, switch to another finger and continue patting gently. Once the paper is sticking pretty good take a small, soft brush and more MP and gently ease the paper into all the crevices of your design. Gently, ladies, gently. BUT, if you do end up tearing the tissue here and there, it's OKAY!! This technique is very forgiving of mess ups. Trust me on this. Smooth the torn edges with your soft brush and cover any tears with small pieces of torn tissue. Once they are Mod Podged they will disappear. Then MP the edges of the paper down over the bottom and up over the lip for a smooth appearance. Let it dry thoroughly. 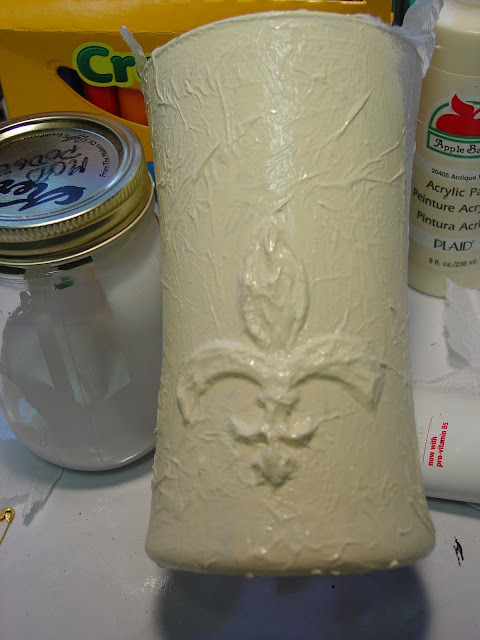 Once the paint is dry on the smiling guy fleur de lis vase, take a soft brush and stroke just a bit of your accent color on there. I used black. You may want to use burnt umber or even a color to match your decor, like blue or even pink. Make sure your brush is almost dry, blot the paint out til it is barely there before brushing it on your project. It is better to have too little than too much, BUT, if you do get too much on there it is fixable. Trust me on this. Let the paint dry then fix your dark spots with the lighter color, let it dry and dry brush again with the darker color. Seal it with clear acrylic spray. See how the roughness of the hot glue and the texture of the tissue really give this a rustic, vintage feel? As my dad the engineer always said, "If you can't make it look perfect, then emphasize the imperfection." This is the first time I tried this technique and I am jazzed at the way it came out! The hot glue tissue paper decoupage idea worked and it came out just as I hoped! Don't you love when that happens? I'm going to try it on different surfaces and see how it looks and I'm already thinking some kind of swirly damask design on another vase and maybe some dots and circles....! 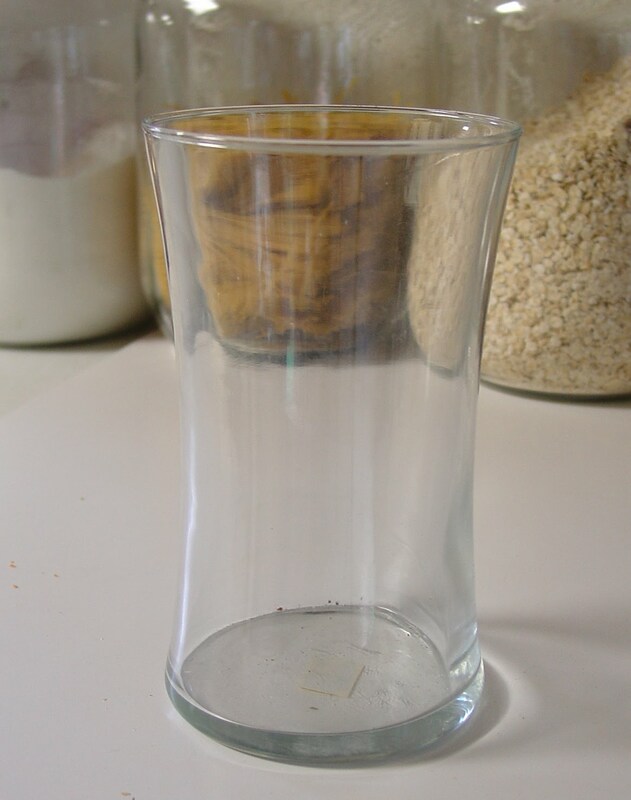 WARNING-your vase or glassware will NOT be dishwasher safe. Also, do not submerge it in soapy water. Just dust it with a cloth. The inside is still safe to hold water since the technique is all on the outside, so your vase is fine to hold real flowers. Submerging the finished project will "lift" all your hard work right off. I'm so glad you're visiting me here, please leave a comment if you would. 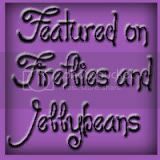 I'll be linking up to the fun blog parties in my sidebar, come see all the great projects posted there! That is such a great idea! Oh geez, you've got the gears in my head turning now! Thanks so much for the inspiration! Let me know if it OK for me to feature this on my blog. Hi, Love it, what an awesome idea, that can be used in so many creative ways. Thank you for sharing. Hello. This is Amazing! I am so impressed. I can't wait to give this a try. You are so stinkin' creative! How very cleaver! It turned out marvelous! Love the colors and the finishing touches! nice project mom, love how it turned out! oh my, so many ideas running through my head! Oh I have got to try this - so cute!!!! I never in a million years would have thought of doing that. It turned out amazing! Thanks for sharing the process. What an amazing idea to DIY. Your a smarty lady, Lady? I wish I could try this on my summer vacation. I just wonder if you put the tissue papper outside the vase. I might be stupid to ask but am jst so curious. Obviously I did the right thing for you to find my post! I am so pleased you visited thank you and for your lovely comment. Rather impressed with your natty vase. I just used modge podge for the first time a couple of weeks ago, and I am hooked. 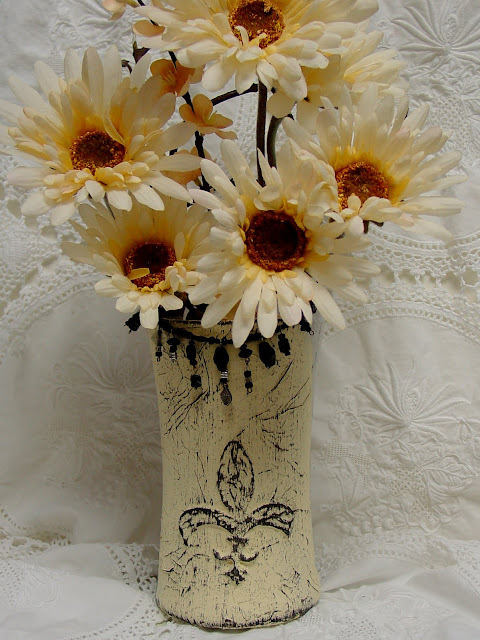 I love what you did to this vase, I love texture on things so this fits the bill, GOOD job! 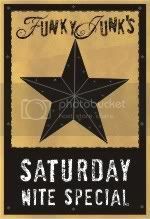 Thanks for linking up to my first party....I look forward to seeing you again. Love, love, love this project! BUT, I can't see the French dude! It's really driving me crazy too. I keep going back and looking, but I can't see him. Are you sure he's really there? Ha! Okay, I believe you, but I really wish you would point him out. I'm gonna go try again. LOL! Okay - this is brilliant...one for the record files - I love using tissue paper this way - it is so much fun...so adding the hot glue - just more fun!! This is awesome. I love it. It could be used in so many ways. Can't wait to try it. This is great! I'm loving your ideas and tutorials. Too fun! Please keep them coming! Fantastic.I have been dying to make a textured vase and just couldn't think of any doable ideas.This is just what I needed.Thanks! I love this idea. It turned out so pretty. You are so smart!! this is fantastic...Love it!! I LOVE this!! Did you think of it yourself?? So impressed! I love your faux-techniques on everything. Thanks for sharing the how-to! Great idea and it turned out beautiful. 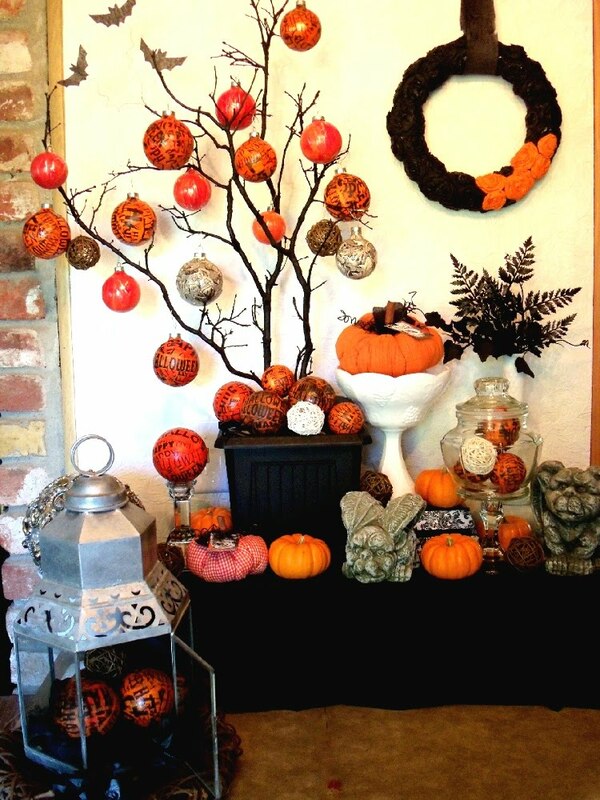 What a beautiful idea...luv how it looks! HAPPY NTT! What a wonderful idea. It looks great, you did a wonderful job! Such a great and unique idea! love it!! Awesome vintage vase for 50c!! Great idea! Thanks for visiting our blog too! I'm going to follow you to keep up with your great ideas! Oh Ny Gosh! That turned out so wonderful! What a talented person you are! ummmmm, wow. I saw someone make "wax drips" with hot glue yesterday...and now this. pure genius! enjoyed your blog. thanks for your comment. WOW that is so smart!! Looks great!! 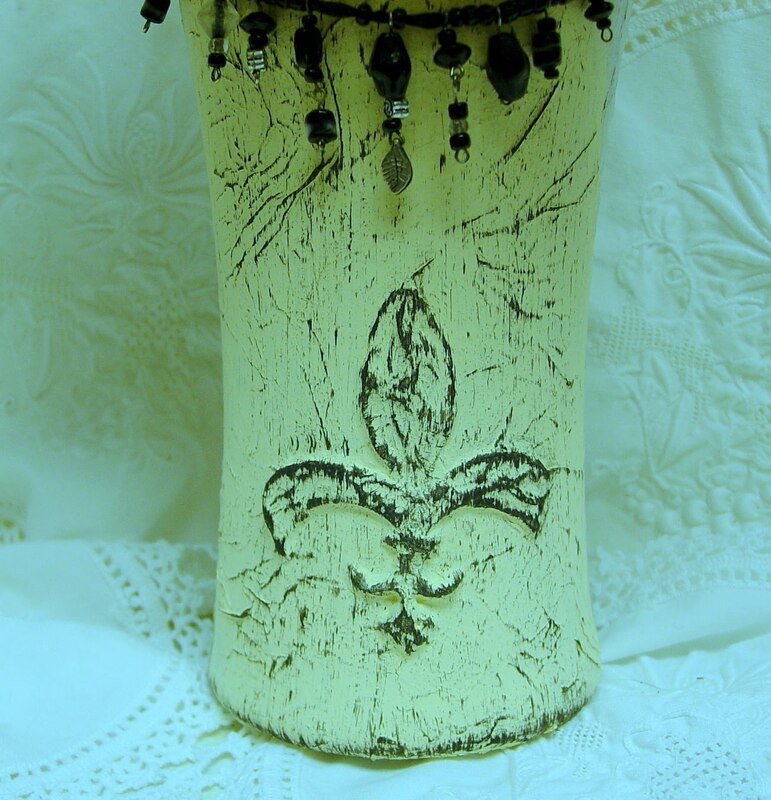 I just wanted to say thanks for commenting on my DIY Topsy Turvy post! Great vase!! I was just recently trying to figure out the same kind of concept and I came up with 3d fabric paint. You could try that too....and worry less about crisping your hands!! :-) I always manage to get my fingers in that hot glue. That is A SUPER idea! I see what you mean by doing things the non-cricut way LOL. Your project was both inventive and creative. You'd never know that was a plain glass vase. This turned out just beautifully! So shabby chic and what a transformation!! Brilliant! 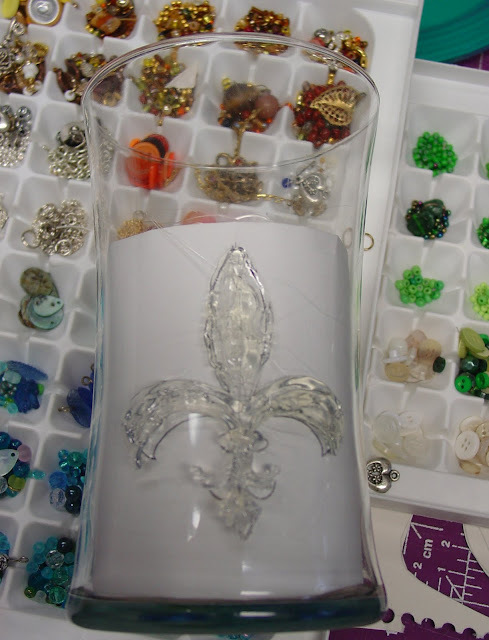 Can't wait to get my hands on a glass vase and get my fleur de lis creation! What a great transformation! And thank you so much for your kind email regarding the loss of my brother. This seriously is so awesome Ann!! How creative are you!! That's a great idea, and a great project! I love finding treasures in thrift stores. 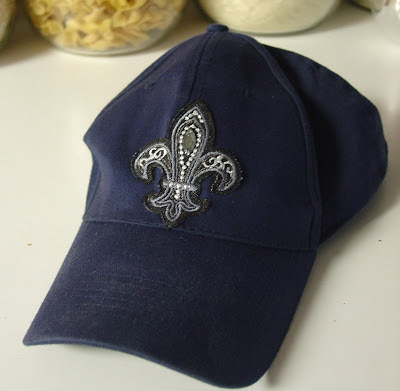 We're on a fleur de lis kick in my house right now. my husband is a die hard Saint's fan and is in the process of remodeling the garage. he's going to put a big fleur de lis on the garage floor! I will be the one to have to draw it out for him. Eventually I'll post pics on my blog. OMG OMG!! This rocks!! Awesome job!! L.O.V.E it!!! What a great idea! I am trying to think what I have lying around to try this on! THanks for sharing! Wow, great idea, and it looks amazing. Visiting from Marla's WHW :-) Have a great Wednesday. Wow, this vase turned out incredibly beautiful!! Woo Hoo!! I'm so glad you linked this post and I signed on to Follow....another Oregon blogger, Woo Hoo!! There aren't too many of us that I've stumbled upon. Thanks for linking this great project to Woo Hoo! Wednesday. What an eye catching way to dress up a vase. great job. Fabulous Idea!! Congrats on a beautiful end result!! Excellent idea, it turned out great. I can't wait to give this a try on something. I like your dad's motto, too. Wow, what a cool technique! And it turned out great. What a great tutorial! It looks beautiful! Amazing! My head is spinning wondering how I should use this technique next! What a great idea. You did wonderful. Found you on new friend friday and im glad i did....this is wonderful! I have to try it! What a great idea. I will have to remember this one! Hi, I came over from Tatertots and Jello to look at your site and I am FREAKING OUT. Where's my glue gun. Now how am I supposed to get any work done??? Wow this is just awesome! Noooo way! Hahaha, this is cracking me up. I did the EXACT same thing to a vace at my house!! I thought I was a cheap-o for doing it, but I love the way it looks. We must think exactly alike. How funny, I love it :-)! I modge-podged some tissue paper on first, then added a pretty bird pic clipped from a Country Living magazine. Thanks for stopping by my blog and for the sweet compliment. I am now a happy follower : ) Have a blessed weekend, friend. Love this post. Just letting you know that I featured you in my weekly round-up. Thanks again! Awesome, awesome, awesome. Love it. I would also love if you could link this project to my link party at simpsonized crafts. Wonderful idea!!! So many applications, so many variations, must come up with something where I can use this..
Hi, I'm new to your blog. That is so clever! I bet you could disguise a tin can with that method too. Such a cute idea!!! I hope you don't mind, but I linked this post on my blog! I am going to try a slight spin on it, but it was this post that geve me the inspiration to try it. I will post a pic when I am done, but here is where I mentioned your blog, if you want to take a peek! yes, you are right... both are milky white painted vases. however, my vase directly painted on the glass gives a different look. both unique in their own way. i'll try your technique also. thanks for posing. This is totally awesome! Never seen this technique used. I am featuring this at somedaycrafts.blogspot.com. Grab my "Featured" button. This EXACTLY what I need to make a wrought iron scrollwork design more 3D (when I attach it to wood to make it look like some old architectural salvage piece). Thanks. Cool idea! Oh wow, I love this. What a great great great idea. Did I already say great idea, Oh man, I hate the look of a plain glass vase, and this would go so much better with my decor. Can not wait to give it a try!!! AMazing. I also love your blue garden globes. I am def your newest follower as Im sure I will find tons of great stuff here. Thanks and if you ever feel like you want to share your wonders with another party, please consider checking mine out, its new, and I would be so happy to have you!!! I was looking up something else and somehow ended up at your blog. I'm so glad that I did because this is just AWESOME!!! I would have never thought to do this. Love it! A co-worker found this and sent it to me - this is fabulous! Love it!! So cute and very creative!! what a creative technique! i never would have thought of it. the end product is amazing :) thanks for sharing! Total genius, as usual! Great stuff, Ann! Really awesome technique - I bet people will be making their own versions all over blogland. :) LOL! Imagine any Initial, flower, thing............all the brides and bride's moms who "can't find anymore of that certain thing they had bought all of at _____________"
Get Out!! I love this, I'm following now so I don't miss anything! Thanks for the great tutorial, I love how it turned out! 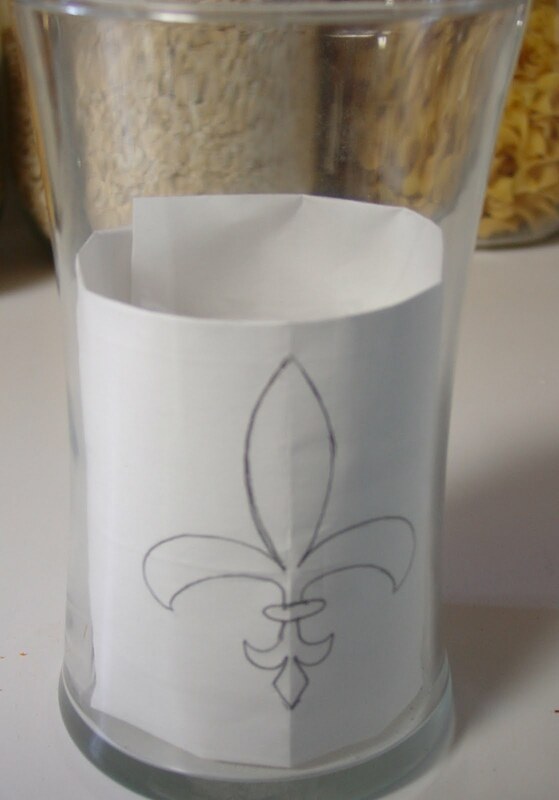 this is amazing, love the creative idea, im thinking along the lines of the same idea...the inexpensive thrift or dollar store find basic vase, but hot gluing on a monogram....and maybe turning this into one of those great unique gifts for the person who has everything. im a follower now, and have bookmarked this project, so i can get right on it after the holiday weekend is over. Your work is beyond creative! Just beautiful! I have to ask though, since that is one thing not shown, how does the inside of it look with the tissue paper folded over? Did you paint that also and is it even inside? I never can figure out what to do to make the inside top part look as good as the outside because of the fold overs. Hope you are doing well!!!! Thank you for sharing! This is genius! I never knew how to create a 3D effect like this on anything and this puts a whole new perspective on what I can be doing....oh the husband is going to be lonely for a couple of days!! Love your blog and thanks for the lovely comment! did you paint it with spray paint or handbrush it all? I so want to do this I have some really neat jars that I want to use for gifts I have the black paint acrylic but not the white I will have to go get that tomorrow just need to know if you don't mind telling me to get spray paint of paint in a by the gallon or however it comes?lol or more acrylic paint I have spent so much money for these diy projects already so hopefully I will just have to buy paint! Thank you so much this is awesome I wanna do gifts but I want one for my home! Donna, you didn't leave an email to get back to you, so I hope you read this! I hand painted over the tissue with country white acrylic paint then once that dried used black acrylic in a dry brush technique...blotted most of the black paint on a rag then lightly brushed over highlights on the vase. Since this is acrylic paint and mod podge, it should not be put in the dishwasher or a sink of soapy water. Dust it with a cloth only. You can still put water on the inside of the vase since this technique is only on the outside. Hope this helps! Wow that is really cool! I would never believe that started life out as a glass vase. tacking on to my list of MUST MAKES ... thanks so much! LOVE this technique!!!! Thanks so much for the inspiration!!!!! Thanks for sharing I loved it. This is GENIUS!!! I absolutely <3 this! Now I'm gonna have to search my home for an old glass vase and make one ;) Thanks for sharing this tutorial!! Wow, this is a fantastic idea!!! this is amazing how do you think of these things !! Love this cute thang! I'm gonna try this one for sure. Even with my ADHD self, I ought to be able to complete this. Great idea thanks for sharing. I think instead of hot glue I will try Scribbles 3D paint, made for drawing/writing. 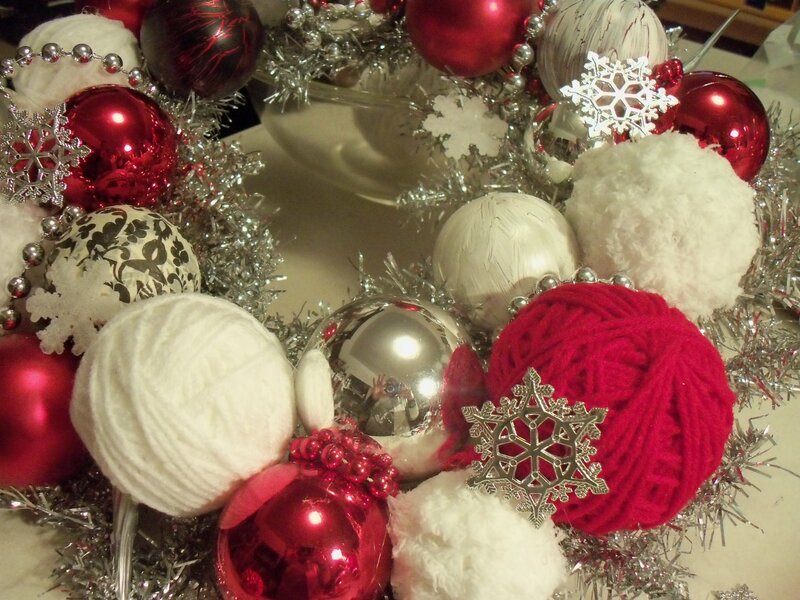 It's just 99 cents at Hobby Lobby and likely similar at Michaels.